Ken Palmer’s teaching and research interests include environmental law, resource management law, and local government law. In the earlier part of his career, folowing the obtaining of an LLM degree from Harvard Law School, he was a lecturer in criminal law, and introduced the subject of civil rights. After completing the SJD degree at the University of Virginia in 1976, the research thesis was revised for publication of the texts Local Government Law, and Planning Law in New Zealand, 1977. Between1978 and 1988, Ken was the editor of New Zealand Recent Law, a monthly bulletin published by the Legal Research Foundation. In 1984, a two volume update of the Planning Law book was published titled Planning and Development Law in New Zealand, and a second addition of Local Government Law in New Zealand was published 1993. 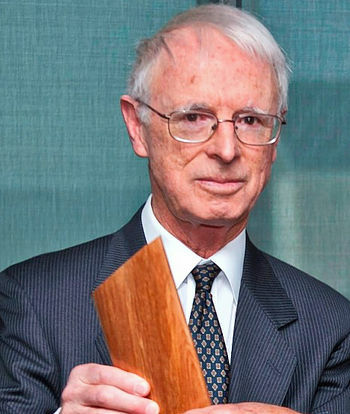 Ken contributed two chapters to the Laws of New Zealand publication, comprising “Resource Management Law” (1995) and “Ports and Harbours”, (2000). In 1993, Local Government Law in New Zealand (2nd ed) was published. In 2012, a revised text, Local Authorities Law in New Zealand (Brookers) was published. More recently, Ken has revised 3 chapters and written a new chapter to D Nolan, Environmental and Resource Management Law, LexisNexis 5th ed 2015. That major text has been published as a loose leaf/on line edition. Ken has contributed a chapter 15 on compulsory acquisition and compensation in T Bennion ed, New Zealand Land Law, Brookers (2nd ed 2009). In 1997, Ken was the foundation editor of the New Zealand Journal of Environmental Law, and has remained the editor of the annual publication through volume 18 (2014). That journal, published by the Law School has gained an international reputation. In 1998, Ken was a founding member of the New Zealand Centre for Environmental Law based at the Auckland Law School. He has promoted the teaching of environmental law for non lawyers, and the expansion of the masters programme to allow for entry by persons without a law background.